At the Tokyo Game Show, Square Enix and Koei Tecmo unveiled their newest character in their entry of Dissidia. The Prince of Insomnia of Final Fantasy 15, Noctis Lucius Caelum has entered the ring. We see the Goddess of Protection, Materia, has assembled the heroes throughout to series to combat against the God of Destruction, Spiritus. Shown off is more gameplay of the different characters and the different arenas to battle it out. We hear Materia explaining her reason of why she summon them all, while one thinks they are forced being against their will. Afterwards, we see the classic bout between Sephiroth and Cloud. Wrapping up briefly at the end, they showed off the prince himself, teleporting and utilizing the power of kings as he has done in the main game. They also unveiled a release date. Dissidia Final Fantasy NT will be released on January 30, 2018 exclusively for PS4. 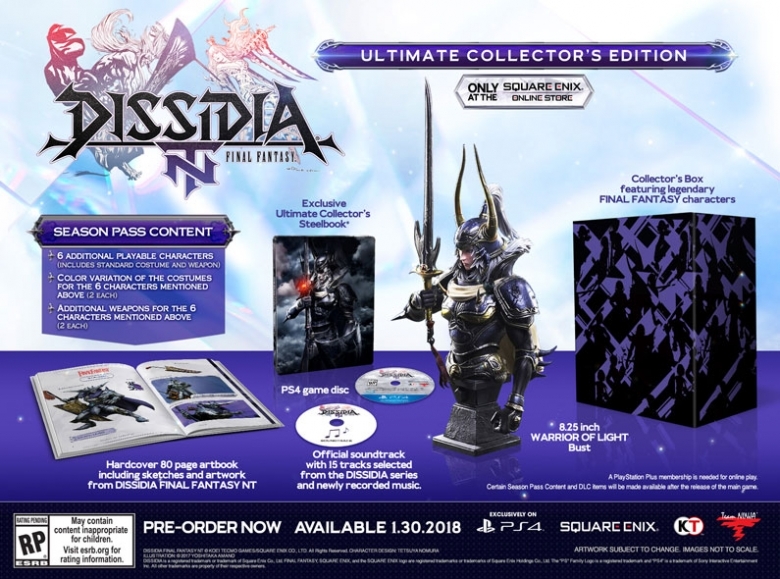 As a reminder, the exclusive collectors edition is still available to order on the Square Enix Store.Grab yours before its all gone.